Israel’s ambassador to the United Nations accuses Iran of actively assisting Assad in murdering his own people. Israel’s ambassador to the United Nations, Ron Prosor, said the regime in Syria was nearing its end and accused Iran of actively assisting President Bashar Al-Assad in murdering his own people. 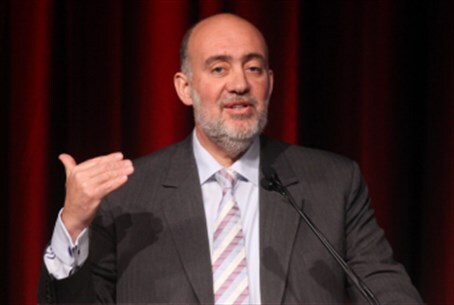 Prosor’s remarks were made on Tuesday in a speech to the General Assembly during an emergency meeting on Syria. He then went on to accuse Iran of direct involvement in the bloody war being waged in Syria. “Iran's Revolutionary Guards are deployed on Syrian soil and take an active part in the massacre. Asking Iran to help resolve the crisis in Syria is like letting the mafia head a murder investigation,” said Prosor, likely referring to comments made by UN Secretary-General Ban Ki-moon, who said last week that Iran can help solve the problems in the Middle East. “You have to remember that Iran is not alone. Hizbullah works alongside it and together they are the ‘advisory commission’ which advises Assad on how to effectively slaughter his own people,” accused the Israeli ambassador. Prosor also addressed the issue of Syria’s chemical weapons and the possibility they may fall into unwanted hands. Last month, Prosor fiercely attacked Syria and the Syrian ambassador to the UN. He accused Assad's ambassador of spreading lies and hiding the reality that takes place in Syria. During his speech Prosor directly turned to the Syrian ambassador, Bashar Jaafari, and told him that he raised the art of lying to new heights. “You're using consistently the UN podium to spread lies and gloss over reality. You deserve an Olympic medal for that,” he told Jaafari. “People are being slaughtered every day in the streets of Syria and in your speeches to the UN you are telling us fairy tales that are unrelated to what is happening on the ground,” added Prosor.